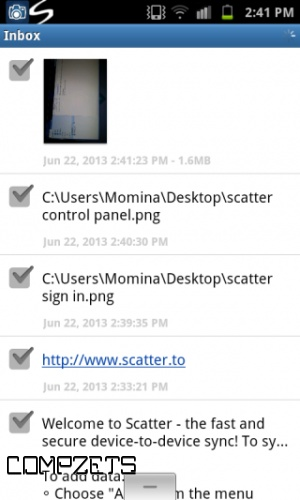 To start using Scatter, you need to install it on at least two devices. 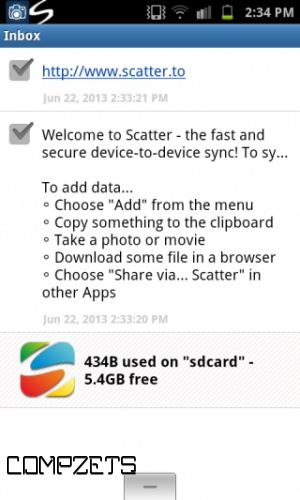 To sync data, you must sign up for a free Scatter account. 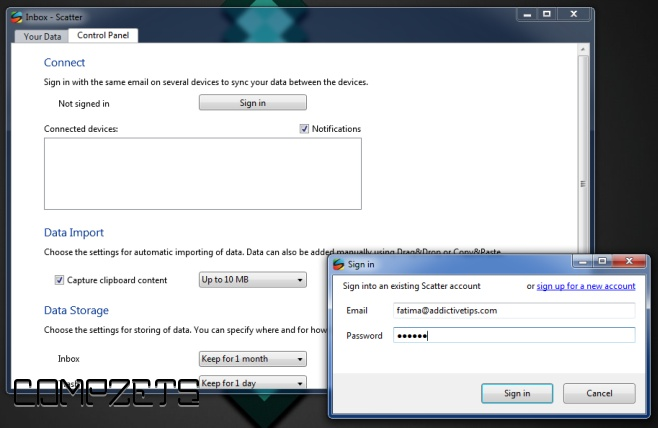 After signing up, simply sign in with the same account on all devices that you want to sync and send data between. If you’re syncing between an Android device and a PC, the first thing you want to do is visit the app’s Control Panel. Here, you can select the location for saving incoming files, limit how much clipboard content is captured and synced how long the files and data in your inbox are kept, and view your connected devices. The ‘Your Data’ tab shows you different folders that you’ve sent and received files/text from. Notice the folder structure here and the labels. 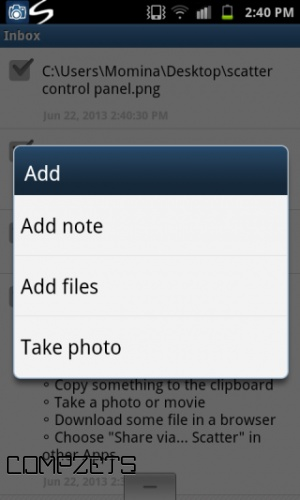 To send a file, select a source from the left and drag & drop the files you want to sync to your device. Syncing begins automatically. Let’s get to the Android app now. After signing in, tap the little minus tab which will open a drawer listing the same labels as the desktop app. Files and data that’s transferred from a label/folder syncs to the same one across all devices, but is also accessible from the ‘Inbox’. To sync data from your Android device, open the app’s menu and tap ‘Add’. Select what you want to send to your computer and it will be received automatically. Text from your clipboard syncs across devices automatically, and you don’t need to do anything other than keeping Scatter running in the background. The apps work flawlessly together and give the user control over what to sync, how much to sync, and when to delete data that’s gotten too old, in addition to the immensely useful clipboard syncing feature.